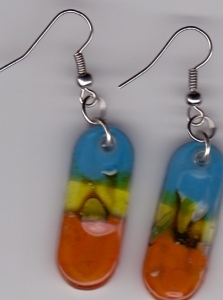 Glass bead earrings. These are handmade so there are some imperfections. Measures approx. 3cm x 1.2cm.